The holidays traditionally bring an uptick in business to retailers across the country, but they also introduce a less-savory element to the retail environment. 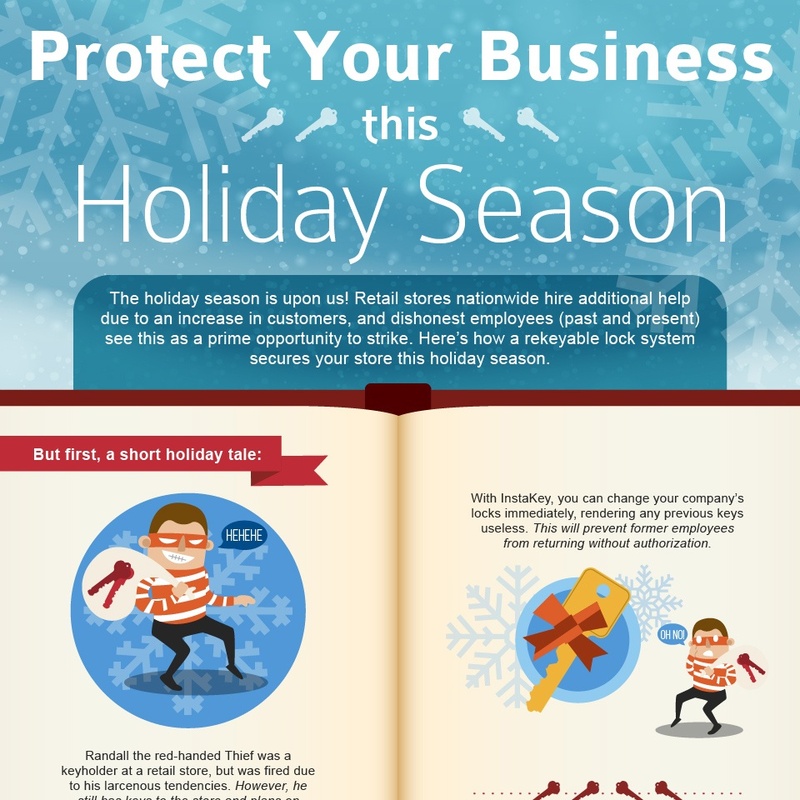 Employee theft increases by around 30 percent during the holidays, and retailers need to prepare themselves. The spike in theft during the holidays has several causes, but it’s highly correlated to the added workforce that many businesses take on during the holiday season. The increased traffic at stores forces retailers to hire new and inexperienced workers on a temporary basis. These individuals are more likely to steal from a business, and retailers need to put security measures in place that limit employee access to sensitive areas and merchandise. With an InstaKey key control system, retailers can distribute uniquely serialized keys to all employees. These keys are extremely difficult to copy which prevents unauthorized duplication, and each only provides access to the specific parts of the store that an individual needs to access. Additionally, an InstaKey key control system incorporates rekeyable locks. This allows retailers to reset locks instantly, without the requirement of a locksmith. This capability is extremely useful during the holiday season, when temporary employees might walk off with keys and compromise a store’s security. It also helps stores save on fees associated with holiday and after hour locksmith callouts. This holiday season, give your store the gift of security with a key control system. With key control, you’ll cut down on theft and save money throughout the entire year. Expensive visits from a locksmith can be a thing of the past, more focus can be directed towards store sales, and you can put a stop to security breaches affecting your bottom-line. Don’t let thieves get the upper hand this holiday. Take charge of the security in your store with a key control system.